Flaxseed oil (also known as linseed oil) is a tasty oil that is known for its high concentration of omega 3 fatty acids. In fact, no other plant contains as high levels as flaxseed oil. For this reason it is a good dietary supplement that may provide protection against heart disease, as well as some performance gains associated with omega 3 fatty acids in general. Where Does Flaxseed Oil Come From? Flaxseed oil is extracted from the seeds of the flax plant (Linum usitatissimum). These plants are native to the region spanning from the Mediterranean to India. Other than producing flaxseed oil, the flax plant is useful as a source of fibre which can also be consumed or used to make linen. The benefits of flaxseed oil are attributed to its alpha linolenic acid (ALA) omega 3 content. Benefits of omega 3s in general has been covered in detail in other articles. Unlike the benefits of EPA and DHA omega 3 fatty acids, the effect of ALA on cardiovascular health is less well established. However, there is still evidence to suggest that a moderate intake of ALA is beneficial for the prevention of cardiovascular disease (Mozaffarian, 2005). It was once thought that ALA may increase the risk of prostate cancer. However a review has found that such evidence lacked scientific credibility and any effect is very low at best (Simon et al, 2009). The American FDA has considered flaxseed oil safe for human consumption. This really should be no surprised as it is a common cooking ingredient that has been used for centuries. The recommended dose for flaxseed oil for heart health is 2 to 3 g/day. This can be divided into smaller doses throughout the day with meals. Flaxseed oil can be found in a variety of different supplements. These include stand-alone flaxseed oil supplements or part of supplement mixtures. Since omega 3s are beneficial for general health, and also provides potential anabolic effects, flaxseed oil can be found in weight gainers, blended proteins, and a variety of other bodybuilding supplements. Flaxseed oil works best when the omega 6 levels are low. 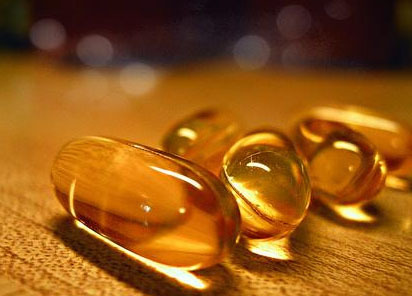 It can be stacked with other omega 3 supplements such as EPA and DHA, as well as a variety of vitamins and mineals.